By now regular readers of this blog will be aware of my fondness for Waxwings so I am very pleased to announce the first of the winter in Scarborough on the corner of Curlew Drive and Heron Lane, Crossgates at 15.30 but unfortunately it didn’t hang around for long. 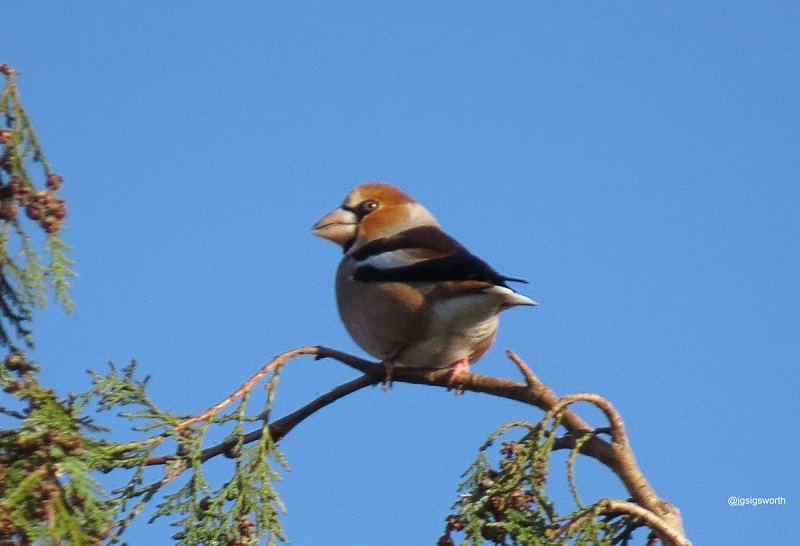 The two groups of Hawfinches continued to attract admirers with 7 being seen in Thornton-le-Dale today and 8 around the churchyard at Brompton putting on a good show at times, please park sensibly at both locations to avoid annoying the locals. 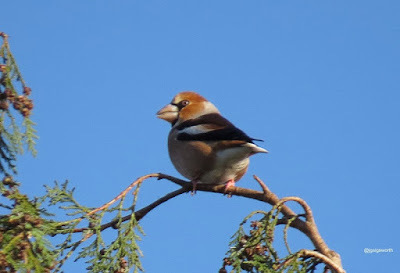 The only other news today concerned a Little Egret by Folkton Sewage Works and a Jack Snipe on Taylor Way.